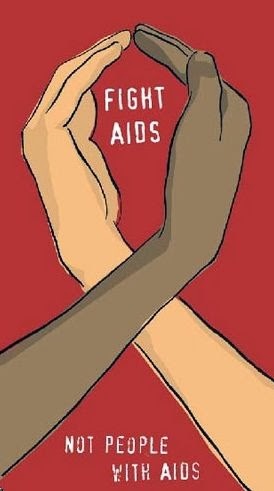 World AIDS day is commemorated on the December 1st of every year. Buds of Christ commemorated this day at the center with 40 children living with and affected by HIV and their caretakers to encourage young people to think ahead and not allow the stigma affect their dreams and goals. Three young volunteers living with HIV came forward to share their experiences of living with HIV, to encourage the other adolescents and family members to look beyond their current experiences. For Radha “Though I was born with HIV, I came to realize my HIV status only when I was doing my 8th standard. At that time, I could not accept it and even thought of committing suicide because people around me stated that HIV is contracted only to people who are engaged in immoral behaviour”. For Baskaran ”When I was studying 6th standard I had come to know my HIV status and my parents had died much earlier due to AIDS. On receiving the test result my immediate thought was “why me?” and I felt no purpose of living and wanted to commit suicide”. For Kumaran “When I was in my Class 2 both my parents died to AIDS and so I was taken for HIV test and diagnosed HIV positive; for me living with the virus was easier to cope but being neglected by my own relatives because of my HIV and orphan status was more tormenting “. It has been the counseling and support group that made a difference in all of them to accept their status and set goals for their future.